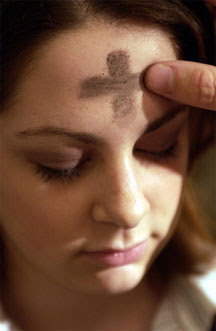 What follows is my sermon for tonight, Ash Wednesday. It will be the last thing I preach pretty much for 3 months as I take Sabbatical leave. It you want to keep up with me you can follow my Sabbatical blog here. It is going to be a very strange Lent for me. As many of you give up alcohol, chocolate or crisps for the holy season of Lent, I am giving up church. Well to be more precise, I am giving up being part of the parish of Leverstock Green and the Team Benefice of Langelei as I take Sabbatical leave for 3 months. It is time set aside for reassessment, refocussing and renewal for me. I was reminded this morning that whilst Lent has associations with austerity and looking inwards, the word Lent actually means spring. Spring of course being a time when look for signs of new life, new growth, fresh starts and a looking outwards and forwards to where this all leads. Throughout the ages, throughout the pages of the scriptures we read an agonizing love story. God saying to people again and again - I love you, I long to be with you, will you be with me? We hear some of that story in tonight’s readings. All too often His love is unrequited and it must break his heart to see that which is most precious to Him turn our backs on him, metaphorically slap his cheek, speak ill of him and walk away. Lent then is a gift of love from God to us His people. It is a time to do a spiritual spring clean, to have a long hard look at the part of us where our motives and drives reside, our hearts. The traditional Lenten tasks of fasting, praying and almsgiving are not a pennance, but a a means to slow down, make time to have a long hard look at our inner worlds and to declutter our hearts and lives. In so doing to make room for a God who loves us, who does move heaven and earth for us in Jesus Christ, to allow our lives become fertile soil for Resurrection life to grow in us at Easter. Lent is a God-given gift, a chance to spend some quality time with one who loves us. It’s about re-aligning ourselves with Him and his purposes in our world; about reminding ourselves that all we have is a gift from God in any case. So just three quick things that are interesting to notice about the traditional Lent fast. The first is that it was uniform – everyone gave up the same things, rather than choosing something appropriate to themselves; something idiosyncratic – like quail’s eggs or beluga caviar. And it reminds us again that Lent is NOT about self-improvement, giving up things that are bad for you, punishing yourself for sin, trying to make yourself more holy, or trying to be better than the next person. Lent is first of all about remembering our humanity – our connection with others – and our dependence on God. In a moment we will share Eucharist with the Imposition of Ashes – having the ash of last year’s Palm Crosses pressed onto our foreheads. This Ashing is a symbol of the fact that we are dust. We cannot make ourselves like God. We’re human, fallible, weak. The words that accompany the ashing are reminiscent of a funeral: “Remember that you are but dust. From dust you came, and to dust you shall return. Turn from sin, and follow Christ.” We are “at the end of the day” flesh and blood, fragile, broken creatures. So the season of Lent earths us – gets our feet firmly on the ground. The second thing that’s important about the traditional Lent disciplines is that it is about giving up essentials – staple things - NOT luxuries or vices. The traditional Lent fast was about everyday necessities: staples; essentials, not vices. Giving up something that significantly affects everyday life focuses us on the fact that we are dependent upon God for life and breath. Everything we are and everything we have is a gift from God. So giving up something that is an everyday necessity is a daily reminder of our dependence upon God, and that all the good things we have, even life itself, are God’s gift to us. On his fast in the wilderness Jesus said "Man shall not live by bread alone, but by every word that comes from the mouth of God." Our daily subsistence isn’t separated from our spiritual journey; we are whole beings. The mystery and wonder of the incarnation is that we have an embodied faith - Christianity is a holistic religion - mind, heart, soul AND BODY are all involved here. Giving up essentials is also a reminder that we worship in the everyday, not merely out of excess: if our fast focuses on luxury items - perhaps we’re misleading ourselves to think that worship is in the realm of leisure, or luxury? God calls us to worship him in the everyday, the ordinary patterns and rhythms, and not just when we have a bit of time to spare; not just when things are going well The worship that Jesus calls us to is the recognition that we depend upon God for every breath we take; and that our whole life needs to be grounded, earthed in the knowledge and love of God. And then the third aspect of the traditional Lent discipline is its association with social justice and the redistribution of wealth. For as well as abstaining from certain foods, people were also traditionally encouraged to fast altogether for certain periods of time – like only eating one meal a day, for instance. And the money saved was not to be used for oneself, but was to be given to the poor. Following Jesus, Lent starts with a withdrawal into the desert God is inviting us to say “Yes” to him during this Lent Yes to his plans and purposes for the world, where we’re brought back into a relationship with God – forgiven, restored and made whole. Yes to the promises made in our baptisms about following him as his disciples and living accordingly. And more importantly God invites us to say ‘yes’ to the coming of his kingdom in our daily lives, where we fret about doing it our way and getting what we want; where saying Yes to God is so hard. After reading your blog today about Ash Wednesday, I thought you may like to join us on facebook and “give up something for Lent to help Haiti”! Please join and encourage others to join too so we can walk the journey of Lent together while helping Haiti.